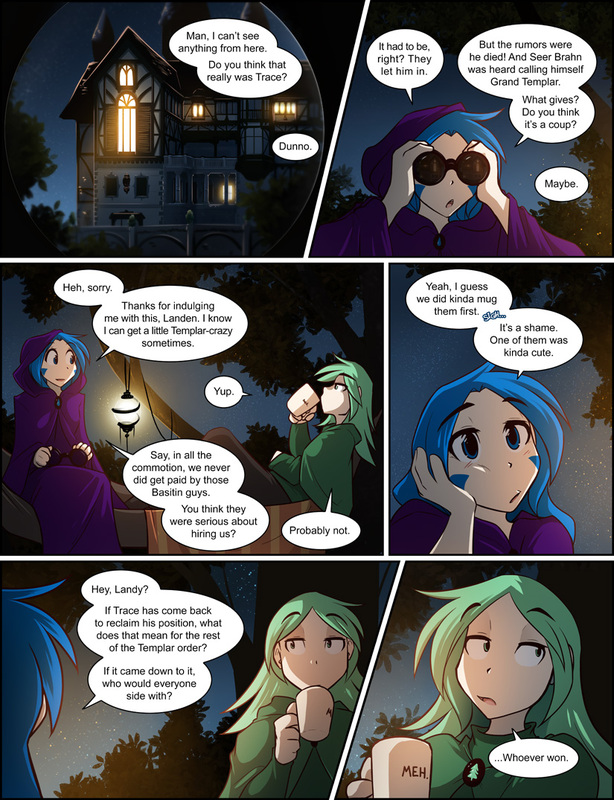 978: Nighttime Stakeout - Twokinds - 15 Years on the Net! 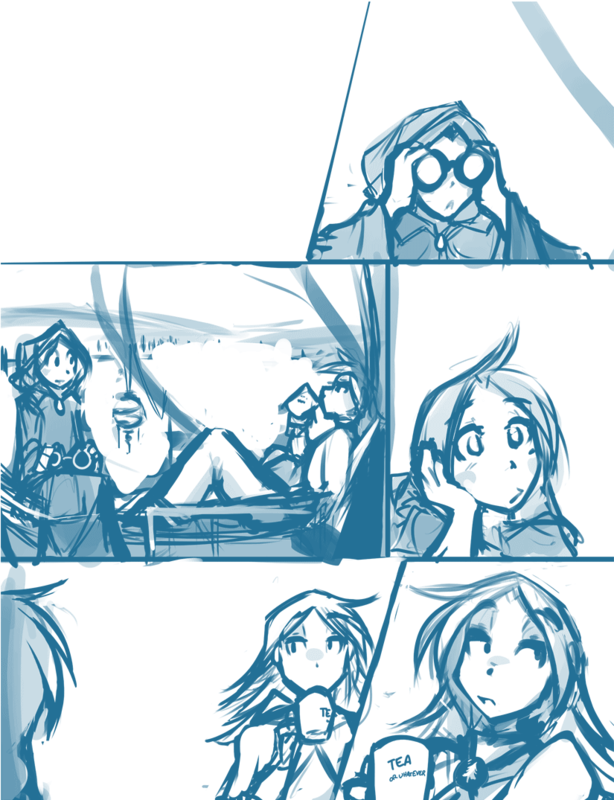 Sealeen: Man, I can’t see anything from here. Do you think that really was Trace? Sealeen: It had to be, right? They let him in. Sealeen: But the rumors were he died! And Seer Brahn was heard calling himself Grand Templar. What gives? Do you think it’s a coup? Sealeen: Heh, sorry. Thanks for indulging me with this, Landen. I know I can get a little Templar-crazy sometimes. Sealeen: Say, in all the commotion, we never did get paid by those Basitin guys. You think they were serious about hiring us? Sealeen: Yeah, I guess we did kinda mug them first. Sealeen: It’s a shame. One of them was kinda cute. Sealeen: Hey, Landy? If Trace has come back to reclaim his position, what does that mean for the rest of the Templar order? If it came down to it, who would everyone side with?